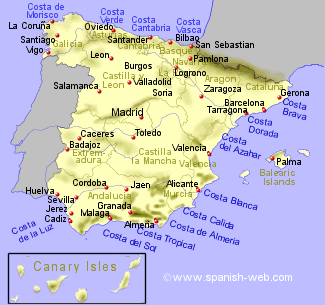 This is the place to find information on the Spanish regions, provinces, towns, costas, golf courses, climate, history, national parks, rail network and flights. We also list Property For Sale, Rental or B&B. The property information listed here has been added to this site by the property owner or someone acting on their behalf.